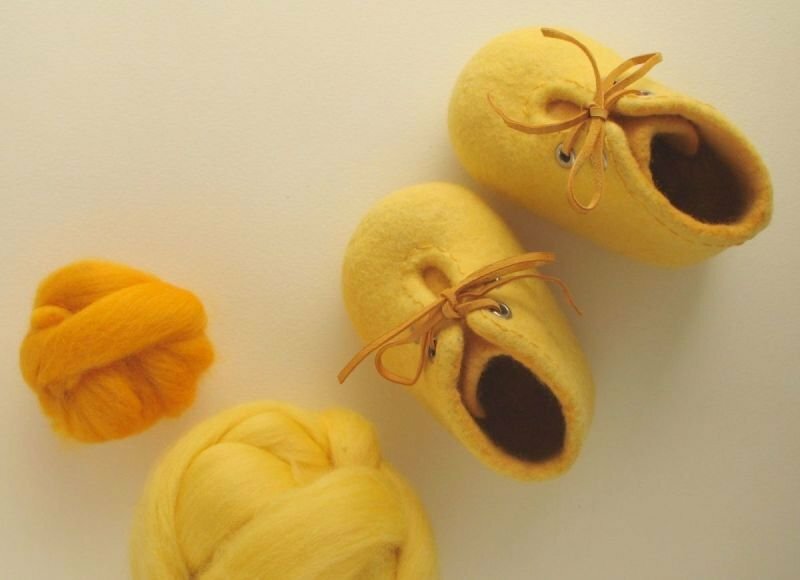 Already during the felting course we were both fascinated by the versatility of wool, this wonderful natural material. 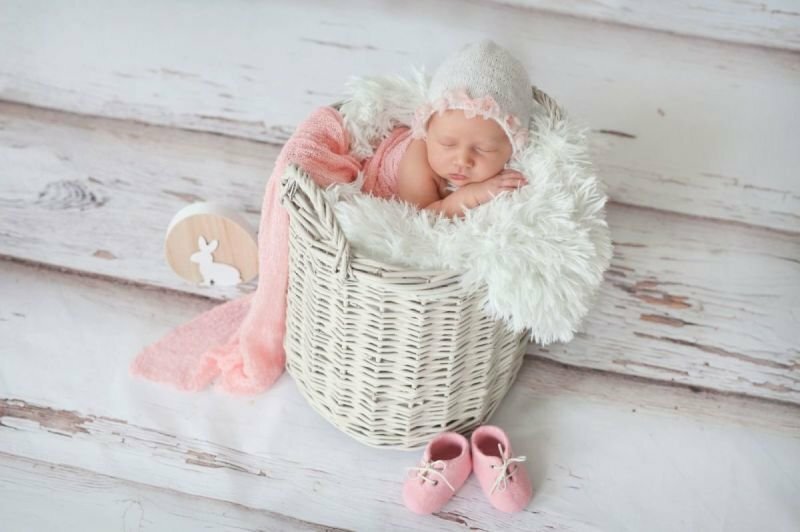 It can be worked into thick blankets, soft cushions, light shawls, modern hats or dresses, footwear or even unique jewellery. 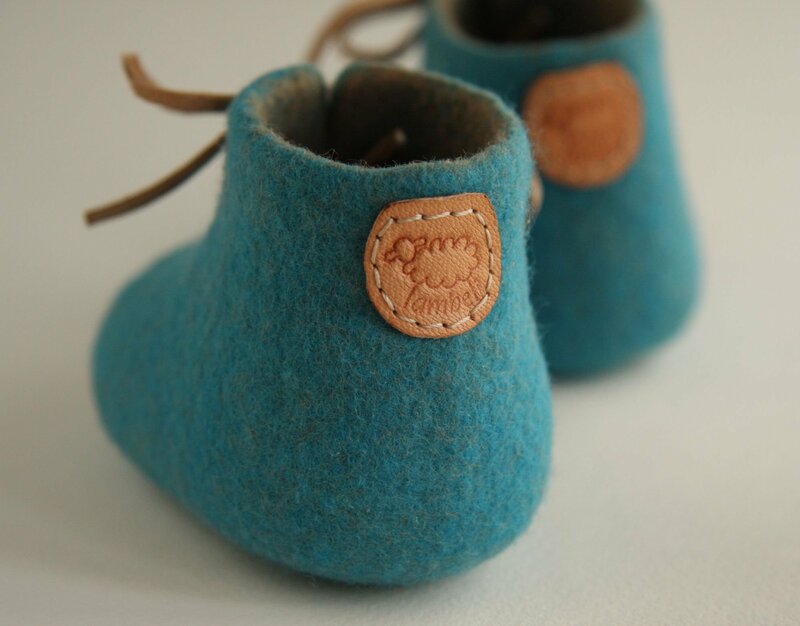 What had we also noticed that apart from toys very few things were made of felt for babies or small kids. 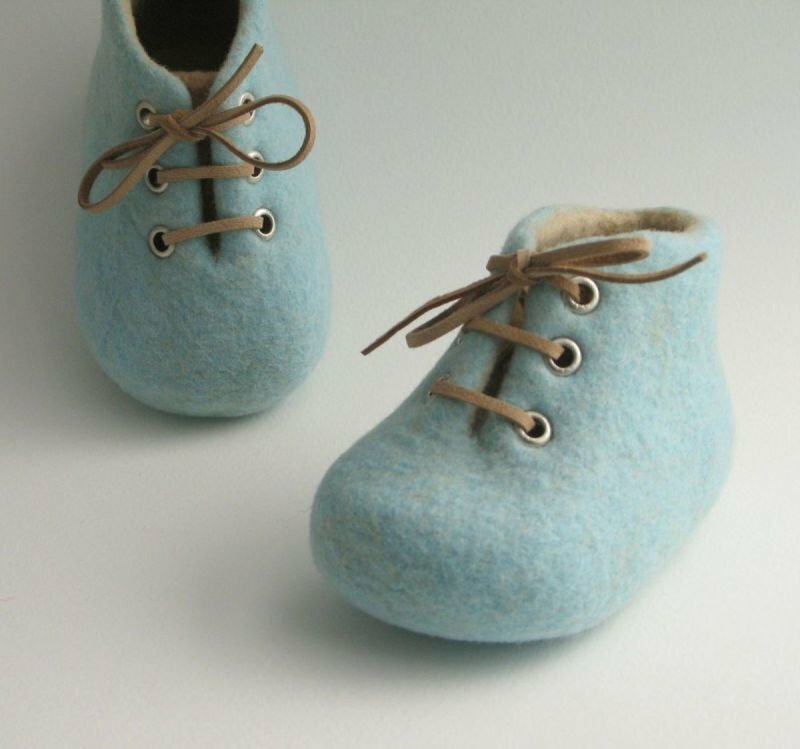 This gave us the idea of creating cute and special baby shoes from this lovely material.Although our own children are bigger now (and they used to wear baby shoes knitted by their grandmothers), we wanted to offer today’s baby generation some shoes made of a natural material that is easy to handle, aesthetically pleasing and is unlike anything else.Creating the suitable shapes, colour schemes and decorations was an exciting and joyful process but we still keep working on new ideas to expand our portfolio. 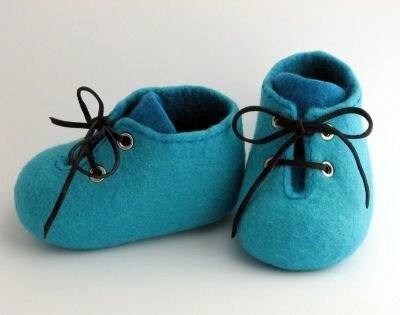 We did many experiments with shapes, colours and designs before we came up with shoes that are best for both the babies and their moms. We use the finest (16-19 micron) Merino wool and each pair of Lambeli shoe is carefully made individually by hand in our smoke- and pet-free workshop. 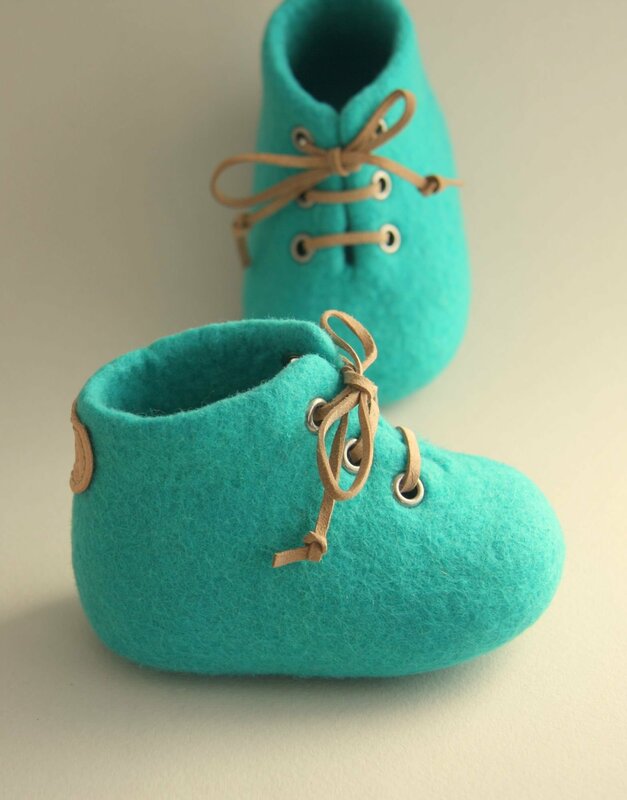 Felt shoes offer perfect and feather-light footwear for the baby. Felt can maintain a comfortable microclimate for the body, it excels in controlling body temperature, is breathable and controls humidity, so it is a truly perfect choice in every season and weather. 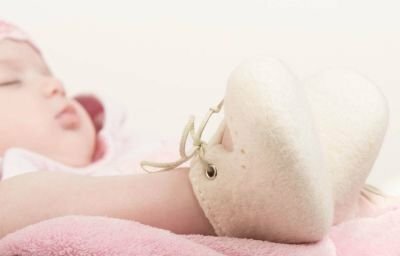 It can safely be worn even if the baby has eczema or allergic symptoms. 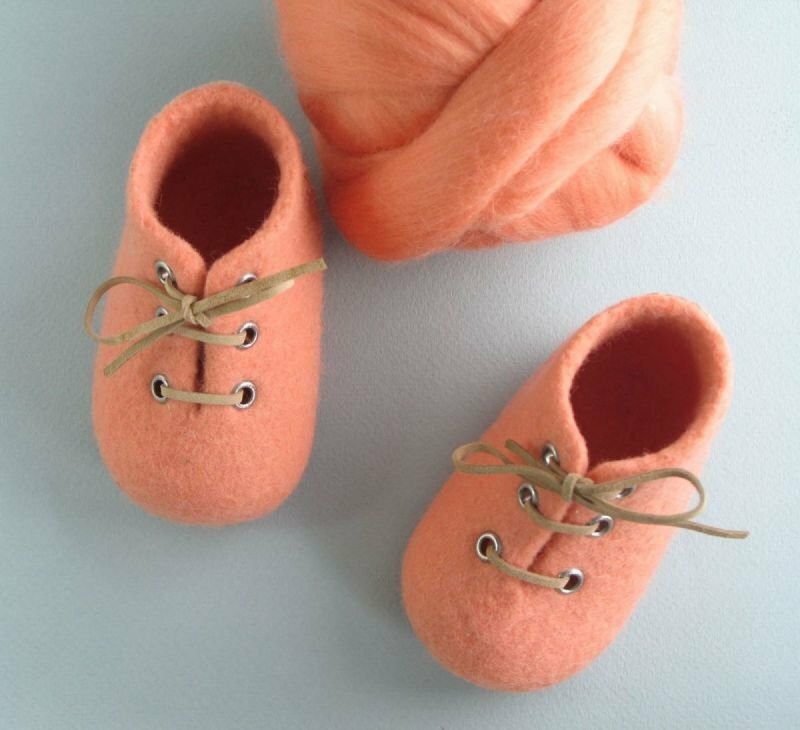 Felt provides gentle care for the sensitive skin. 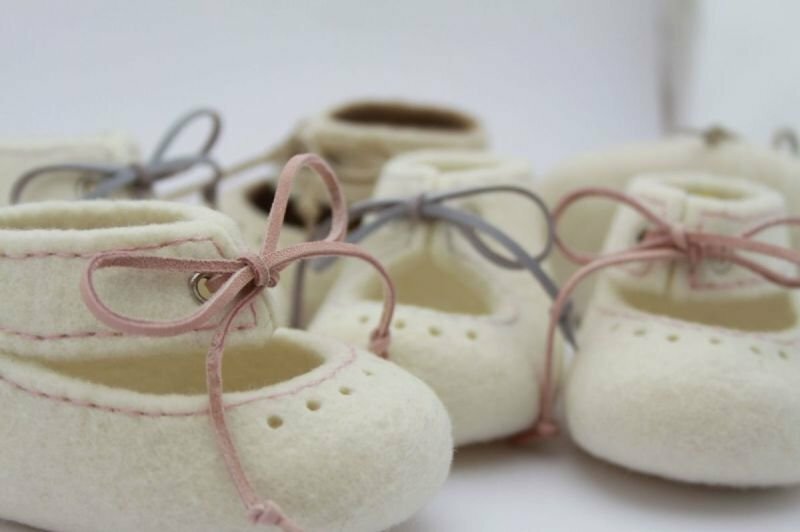 In the manufacturing phase fine wool is mixed and kneaded with hot water and soap and dried on shoe forms without seams or stitching, so the shoes take their final shape straight away. 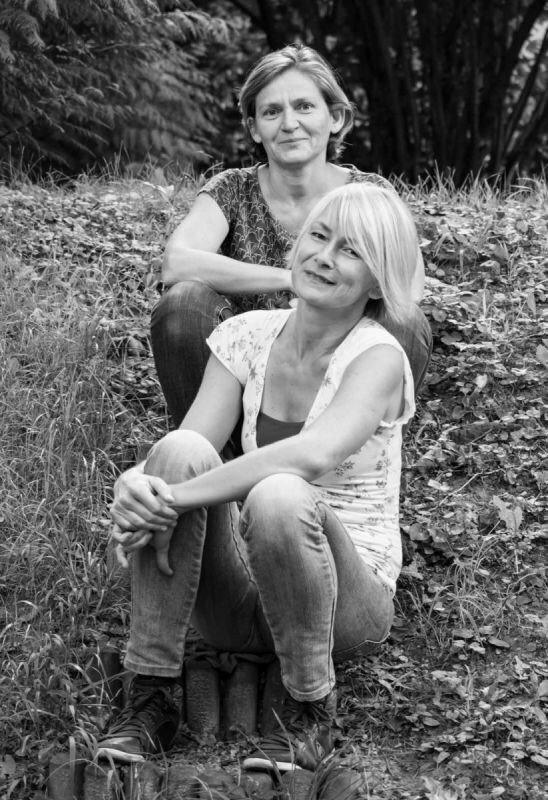 This is a lengthy process, so the creation of each pair of Lambeli shoes requires one working day in total – what we do is not mass production and no big product runs are involved here. 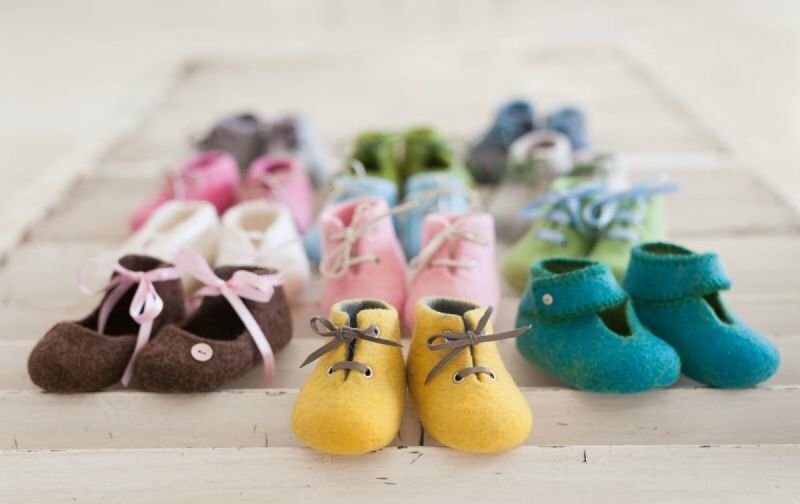 These tiny shoes are made strictly by hand, with the greatest attention and loving care, in small quantities. 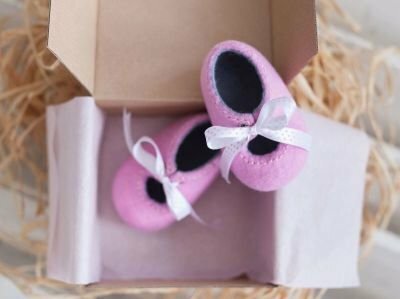 They are a great reminder that you do not need to wait until your baby starts walking before you buy the first pair of shoes. 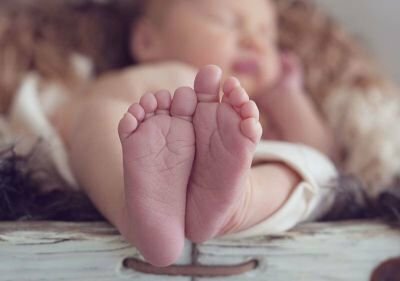 Coveralls are a thing of the past: these days mothers prefer to dress their little ones in more “grown up” pieces that are practical, nice and comfortable and can be mixed and matched well. 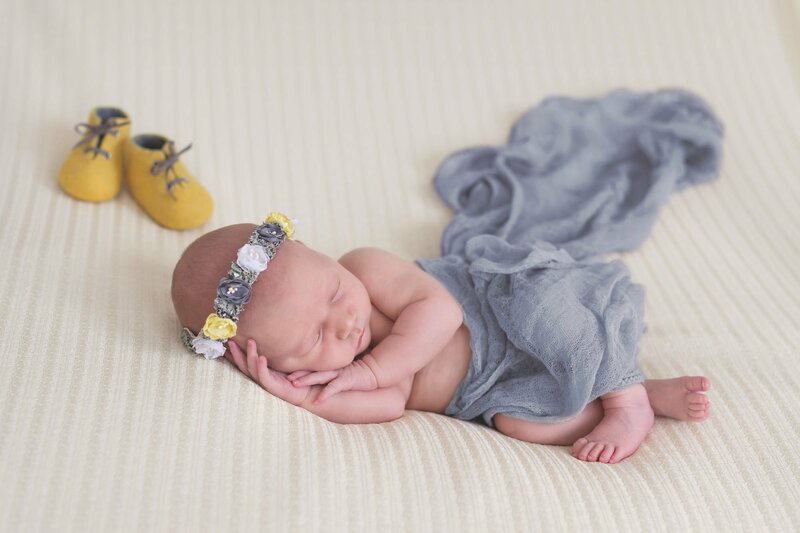 But the overall effect can only be perfect if the baby is not wearing just a pair of socks on their feet. 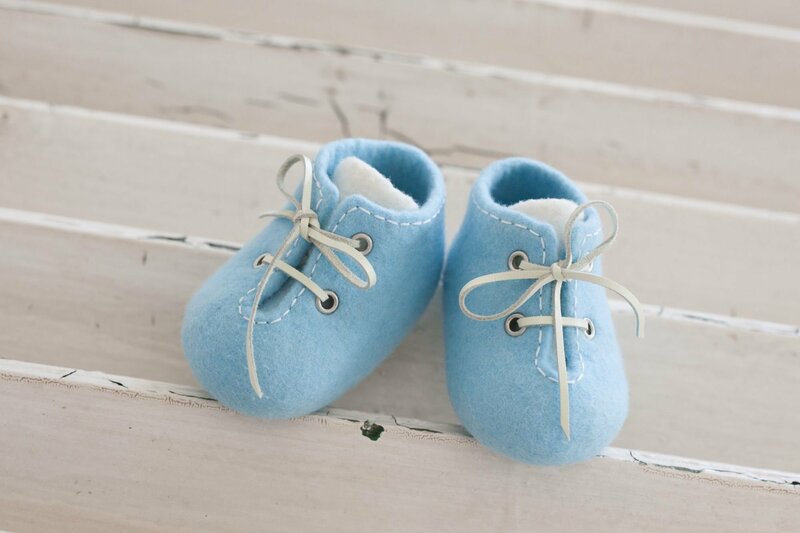 This is the purpose of the “pram shoes” we offer: they are an important baby fashion accessory. 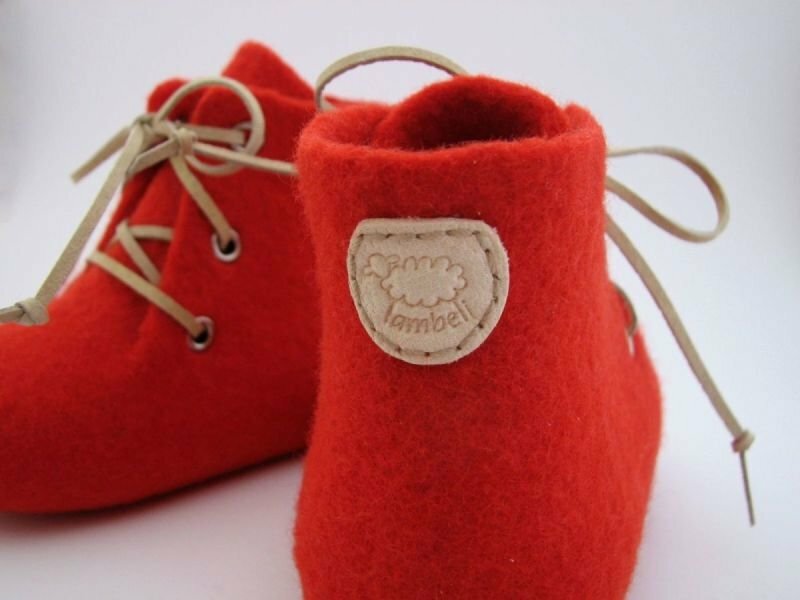 We need to add here that Lambelis are meant for the smallest ones only: for toddlers and small children who can walk safely we suggest shoes with proper, non-slip soles. 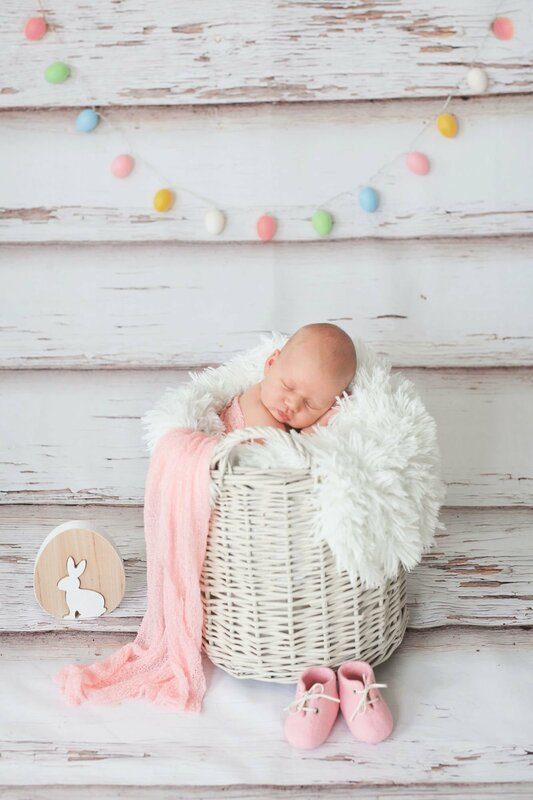 Maybe the greatest source of happiness in any family is when a child is born, but we are equally happy when friends, relatives or acquaintances have a new baby. 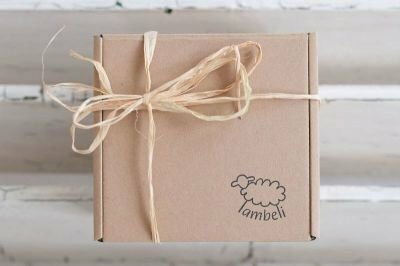 Everybody likes to give presents on these occasions and Lambelis offer an excellent choice. 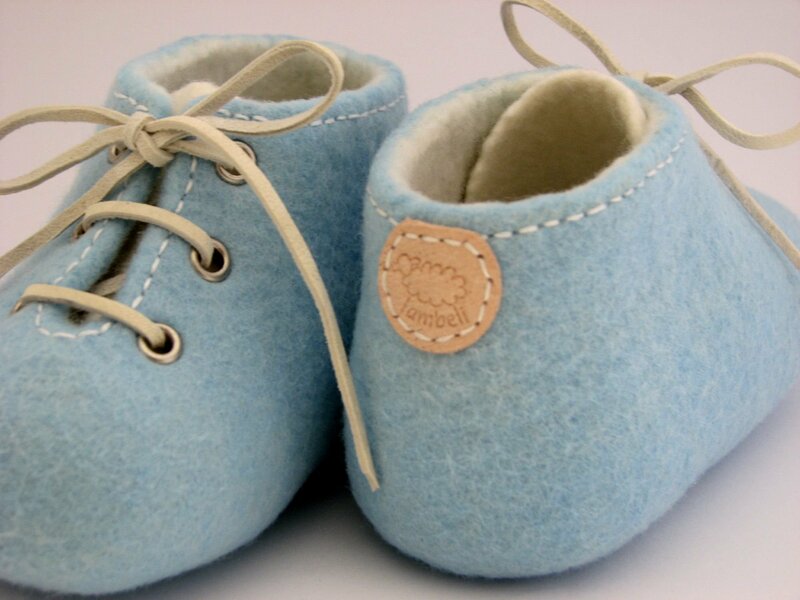 They are made from 100 per cent pure lamb’s wool and are like a gentle cuddle for the baby’s feet. Give a pair of Lambeli shoes at the baby shower and you will be the star of the day. They are a unique present to unique children. 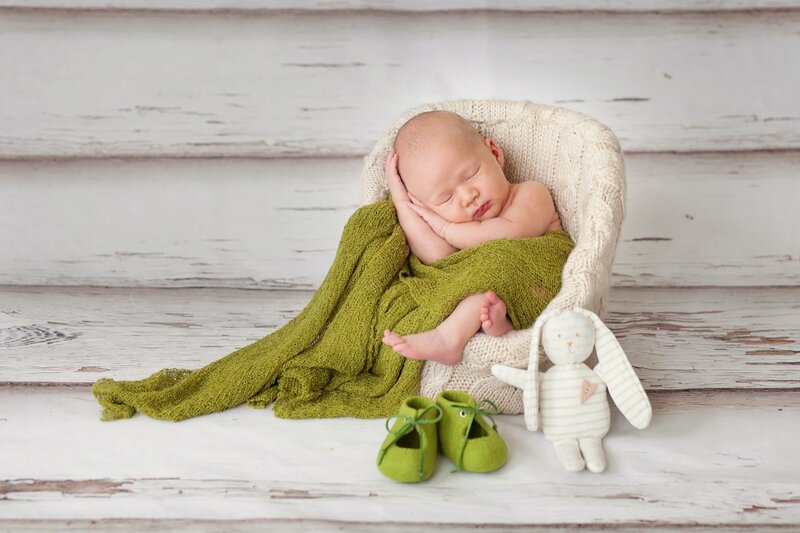 Babies can wear their Lambelis in the pram, in the carrier seat, at home or during visits, or when you are in company or at a restaurant. As well as an everyday accessory, Lambeli shoes make great christening, Easter, Christmas or even newborn photoshoot presents to be given by grandparents or family friends. 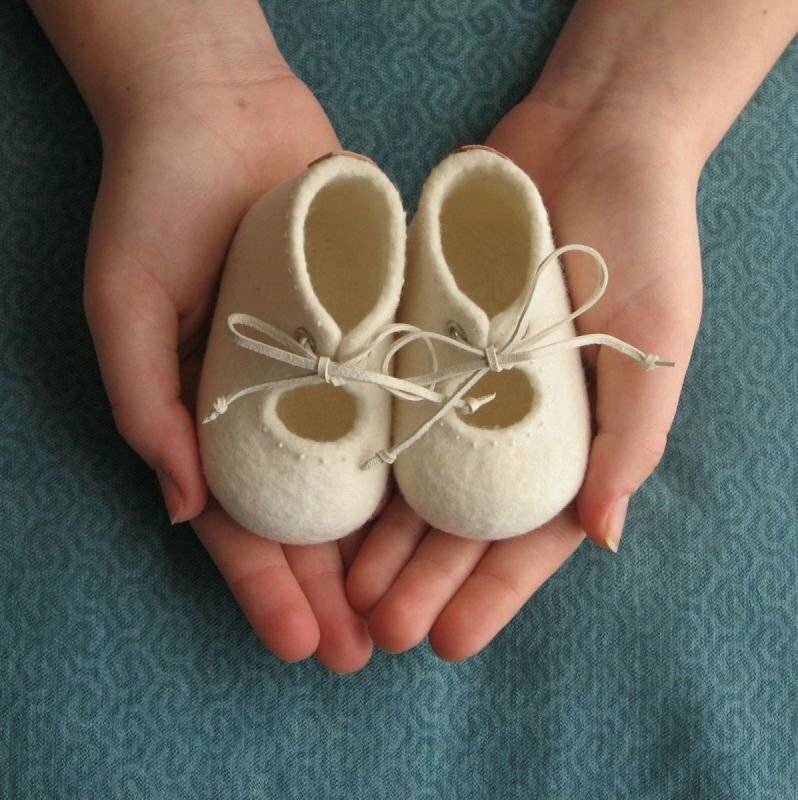 Later, when the baby has grown out of them, they can be a cherished keepsake for the parents or grandparents. Would you like something really special? Do you have an idea but you cannot realize it? Contact us and we will turn it into reality for you. 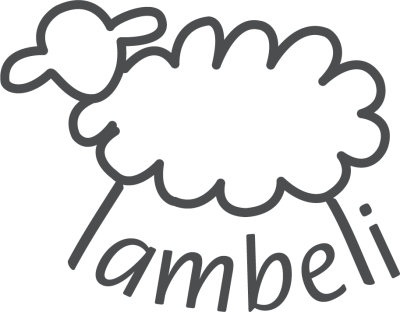 Apart from the stock you can see on our website we are happy to create Lambelis for you in shapes and colours of your choice. 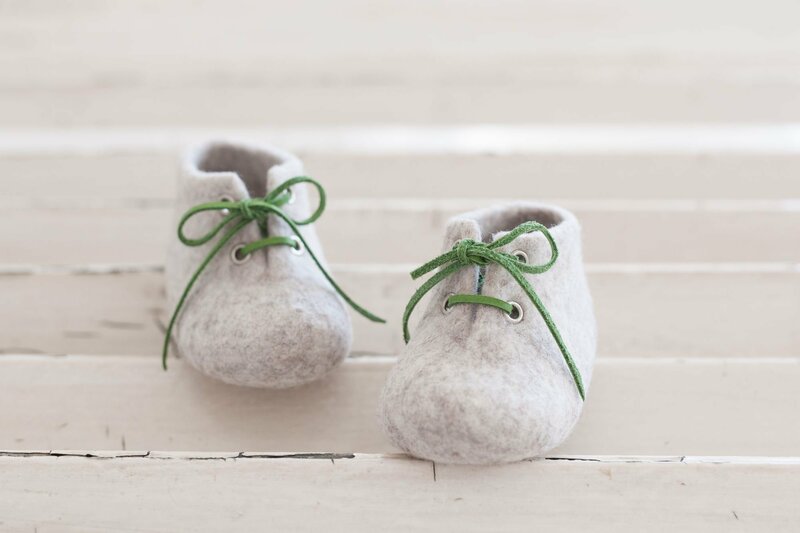 CARE INSTRUCTIONS Lambeli shoes made from Merino wool do not need washing because wool repels dirt – we can call it a self-cleaning material. A good airing in damp weather will deodorize and refresh them. 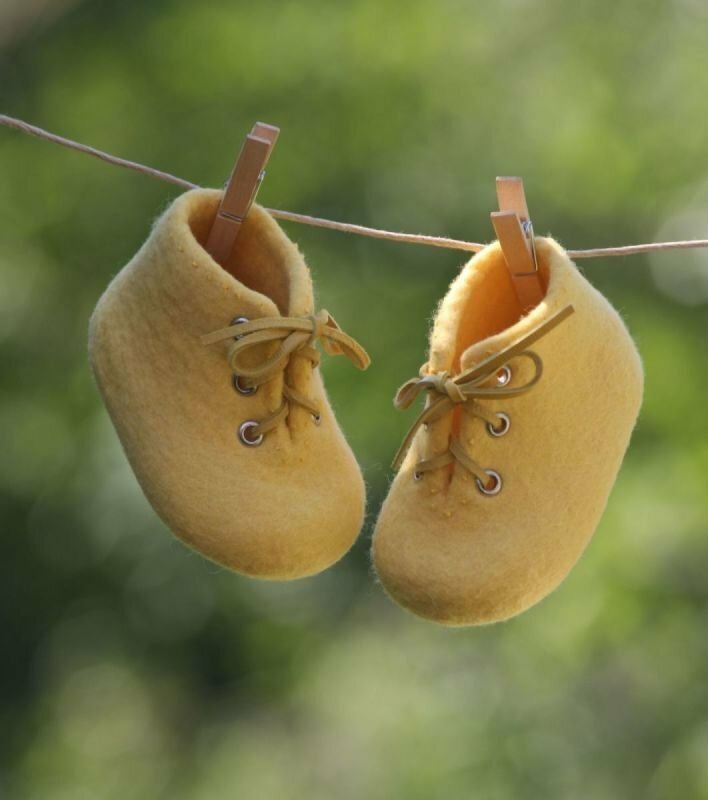 If they still need to be cleaned then hand wash them gently in water not warmer than 30°C using natural soap or wool detergent. 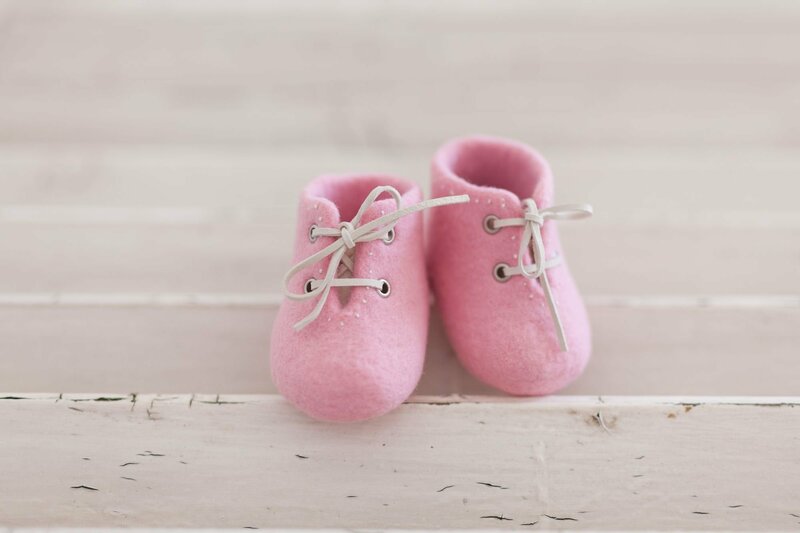 Remove dirt by gently pressing the material; you should avoid vigorous or rubbing movements at all times because these may distort the shape and the structure of the shoes. Rinse your Lambelis in lukewarm water and remove excess water by blotting them in a soft towel. 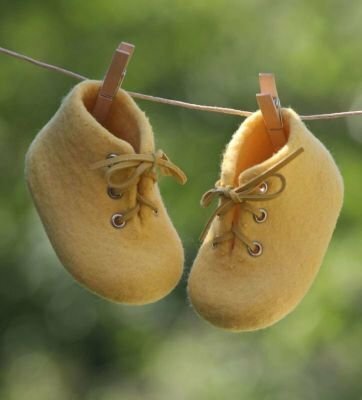 Dry them in the open air, preferably on a shoe form, or reshape and stuff them. Please don’t use your washing machine and drier. 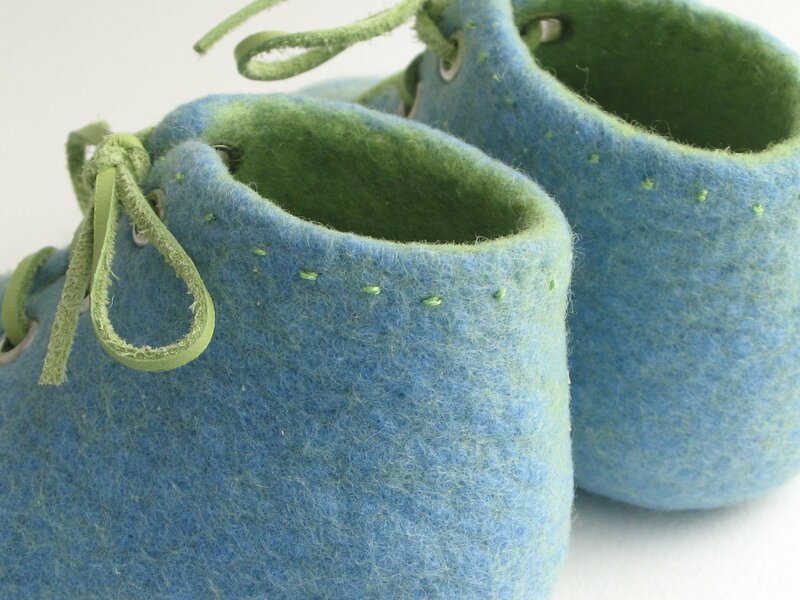 Moths love wool so your Lambeli shoes need to be kept away from them. The best protection is use. Moths prefer dark, peaceful, undisturbed places so do not store your felt pieces at the back of deep drawers or cabinets. Keep them in a well-lit place and move them around frequently. 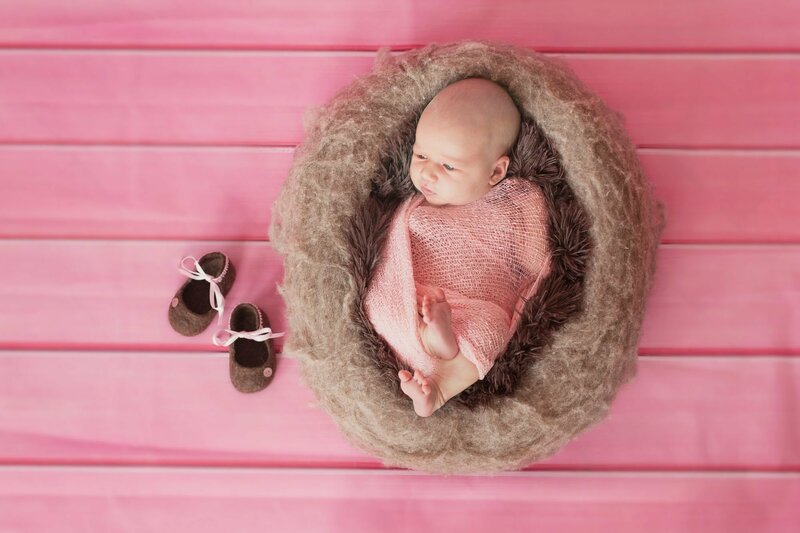 We are convinced that the sensitive skin of babies requires the use of the finest, soft wool. 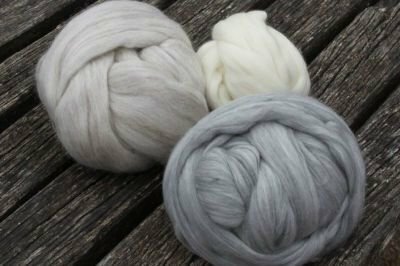 Let us count all the blessings wool has to offer: We humans have been using it for several thousand years and it is readily available. 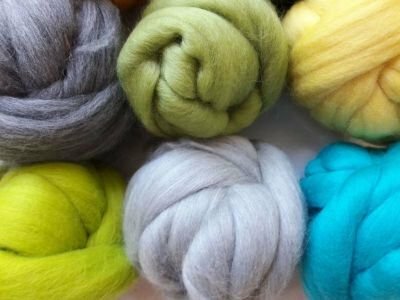 It is a natural and “renewable” material because sheep can be shorn once or twice every year. It is environmentally friendly and recyclable because it is 100 per cent biodegradable. It is soft, supple and feels nice against your skin. It absorbs moisture exceptionally well; this is why even wool having a high (40 per cent) moisture content feels dry and warm to the touch. It has excellent heat insulating properties, too, because the delicate, wavy structure of Merino wool fibres can trap a lot of air. 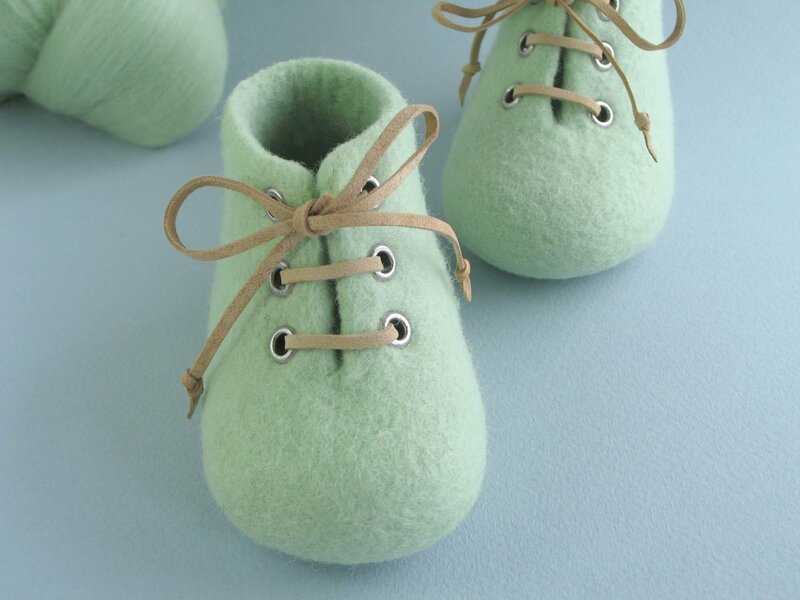 Owing to the thin waxy coating of wool fibres felt made from Merino wool repels water. QUALITY We buy the extra fine (16-19 micron) Australian Merino wool from the German company Wollknoll (www.wollknoll.eu). 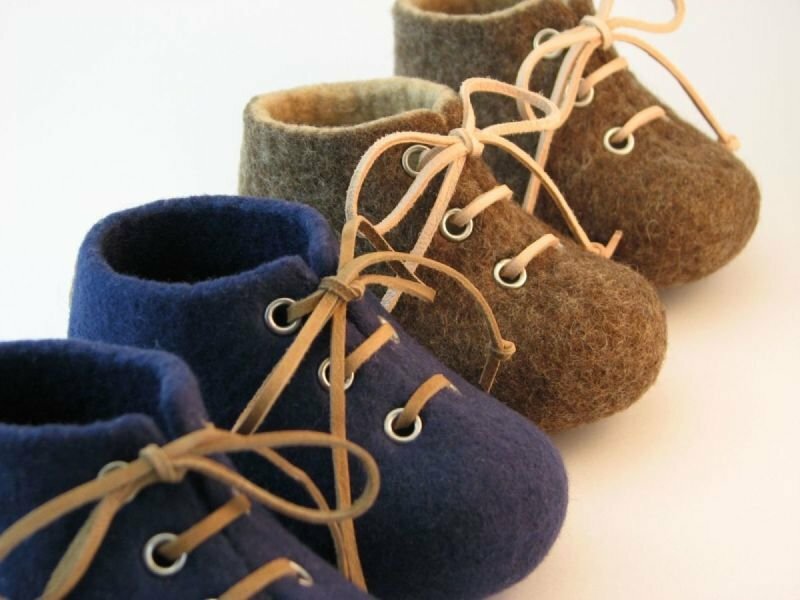 The wool they supply is ÖKO-TEX® Standard 100 certified which guarantees that it is harmless to your health and that products made from it can pose no danger to their wearers whatsoever. 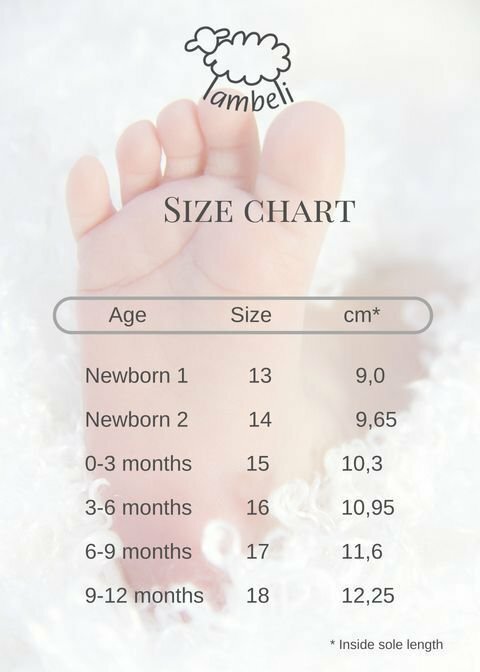 To fulfil your order, you must provide us with certain information (which you authorised Etsy to provide to us), such as your name, email address, postal address, payment information, and the details of the product that you’re ordering. You may also choose to provide us with additional personal information (for a custom order of jewelry, for example), if you contact us directly. If you provide us with the personal data of third parties (sending something as gift), you shall be responsible for having informed them and obtained their consent for using their personal information. To maintain the accuracy of the personal data we collect and process, to prevent unauthorised access and ensure the lawful use of your information, we have both implemented appropriate physical, technical, and administrative measures. We will use your personal data to manage your purchase by processing your orders and returns. We will also use your data in order to handle complaints and warranty matters for products. The processing of your personal data is necessary to deliver the order to you. We store your data as long as Etsy makes them available on the Seller Platform. We will use your personal data to manage your queries, to handle complaints and warranty matters for products and technical support matters through e-mail, Etsy messages and through social media. The processing of your personal data is based on our legitimate interest and we store your data for five years. If you subscribe to our newsletter we will use your personal data to send you discounts and offers, information surveys and invitations through email. The processing of your personal data is based on your consent, and we will keep them until you withdraw your consent. You can opt out from the newsletter by clicking on the “unsubscribe” link in our newsletters. Information about our customers is important to our business. We share your personal information for very limited reasons and in limited circumstances. Such partners are logistics, delivery and delivery service providers, customer service providers, financial organisations, anti-fraud organisations, technology providers. We may collect, use, retain, and share your information if we have a good faith belief that it is reasonably necessary to: (a) respond to legal process or to government requests; (b) enforce our agreements, terms and policies; (c) prevent, investigate, and address fraud and other illegal activity, security, or technical issues; or (d) protect the rights, property, and safety of our customers, or others. If you subscribed to our newsletter, we will send you emails about discounts, new products and events. We may use third-party services in the US. As a result, we may transfer your personal information to a jurisdiction with different data protection and government surveillance laws than your jurisdiction. If we are deemed to transfer information about you outside of the EU, we rely on Privacy Shield as the legal basis for the transfer, as Google and Facebook is Privacy Shield certified. You may also have rights to change, restrict our use of, or delete your personal information. Absent exceptional circumstances (like where we are required to store data for legal reasons, ) we will generally delete your personal information upon request.